The Louvre, Paris | GALLA. 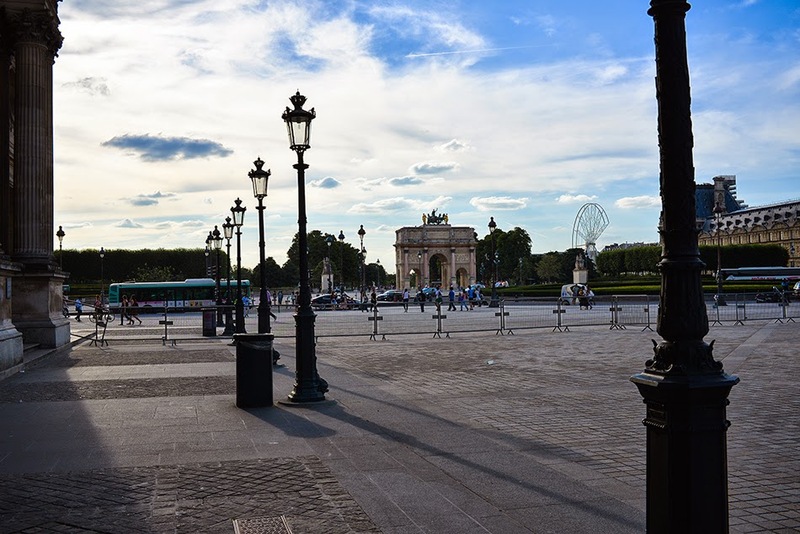 So excited to finally share with you guys my first post from Paris! 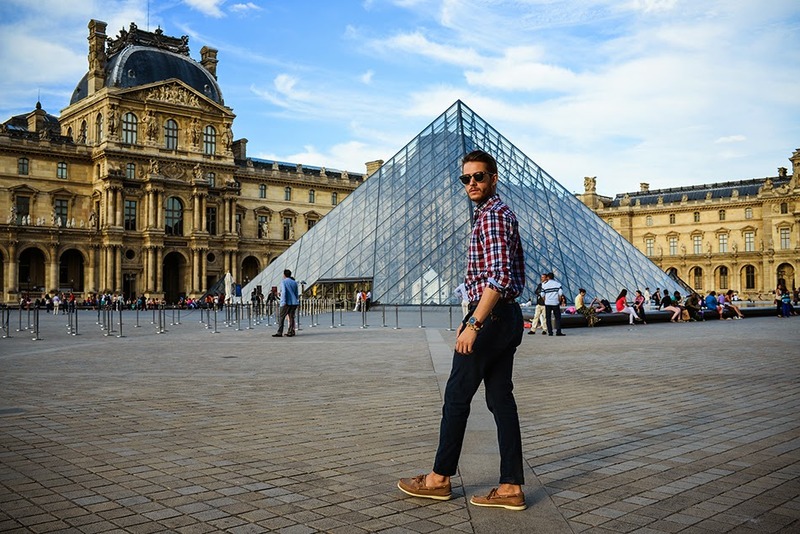 I went ahead and chose the world famous location, The Louvre! 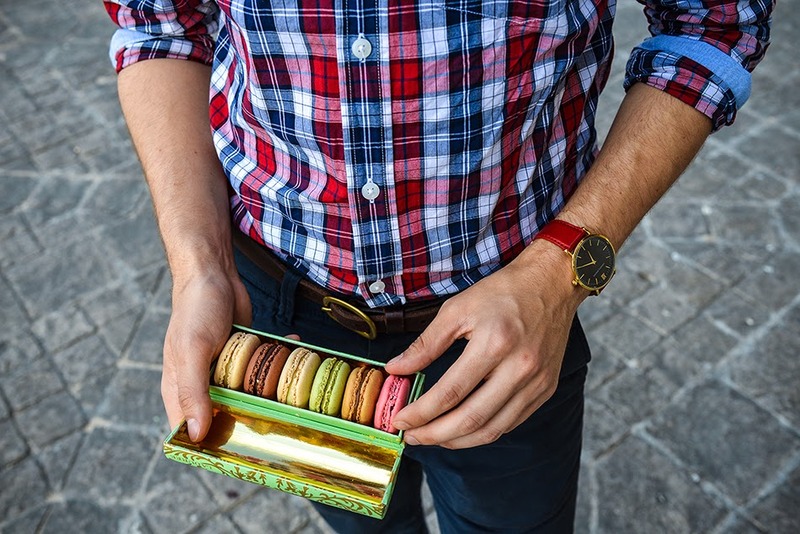 I may or may not have pretended that I was in the movie ‘the Da vinci code’ for some minutes…then proceeded to feast my Macarons like a 12 year old girl. The outfit I chose was preppy yet casual, incorporating the french colors and some leather details. 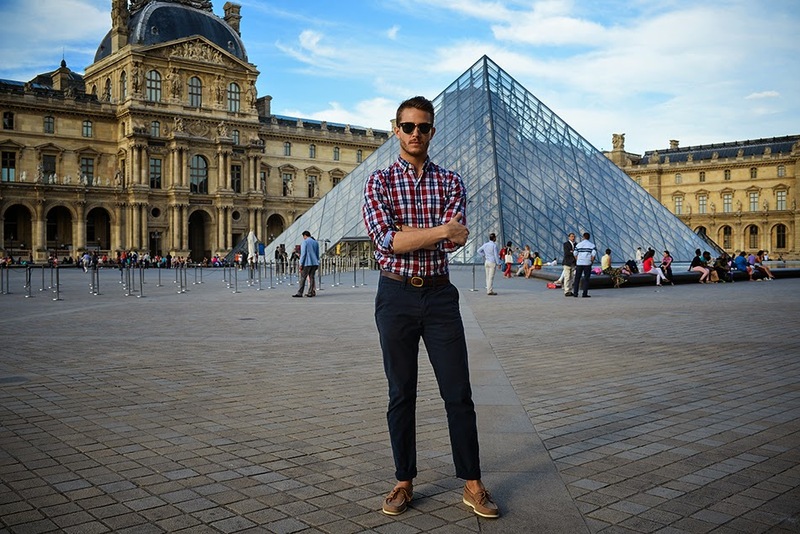 I really enjoyed the plaid of the shirt against the geometrics of the Louvre building too. Someone recently asked if it’s necessary I only pose in front of epic backdrops and well, yeah…I think I’ve finally found my niche. Cool clothing in front of cool backdrops….new catchphrase? Love the shirt and Paris is just amazing! Is there any chance to see you in Germany soon? Maybe in Cologne? 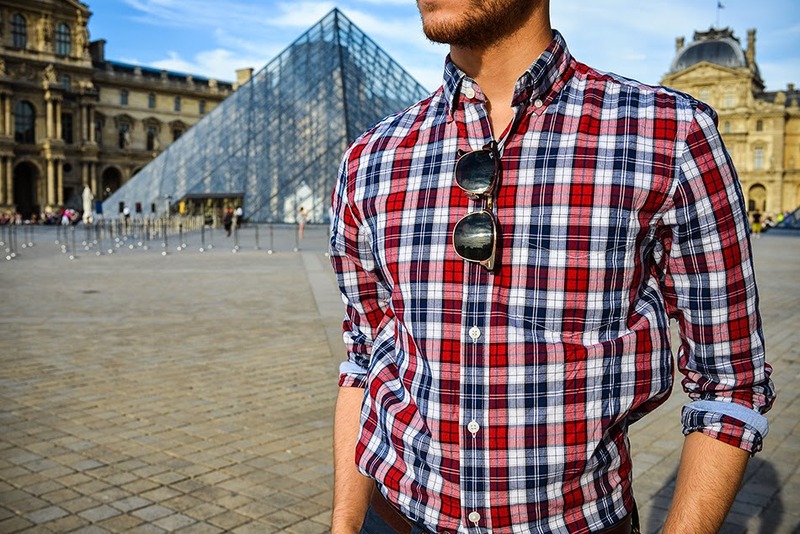 I love when man wears shirt like that, and really admire the colors and the print of the shirt. 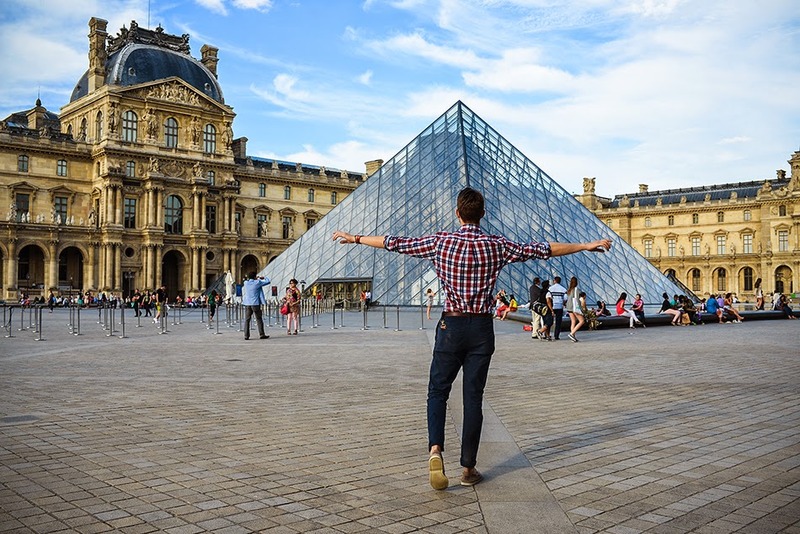 You and Paris a match made in heaven 😀 Louvre suits the pictures. Paris is a perfect city 🙂 You looks great. I’ve always dreamed of coming here! You look as good as ever! 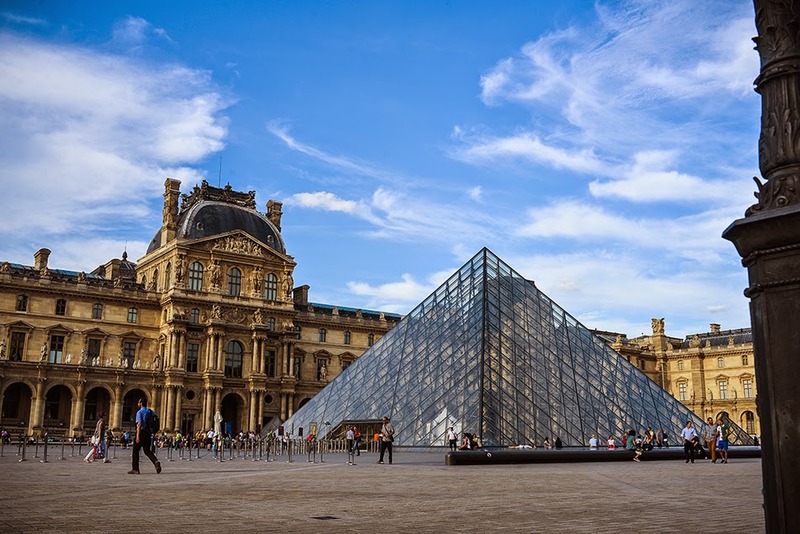 Louvre and macarons – dream! Great outfit and lovely location. Love this post! How much time do you spent in Paris ? It’s simple and really good! Go to the philippines Adam! A shout-out to Fred Rodriquez and you for amazing photographs. The clarity in the shots is so perfect and the subtle bokeh background in the close ups is awesome. Love your joyful spirit that comes through in the photography. You guys rock! Paris is an incredible city. Amazing pictures and great job, man! 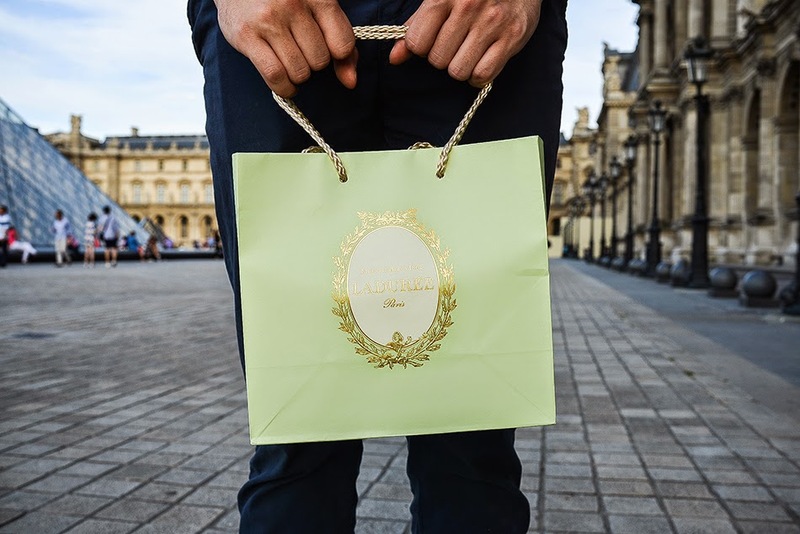 Damn, now I have a craving for Ladurée macarons. Those macarons are so good. 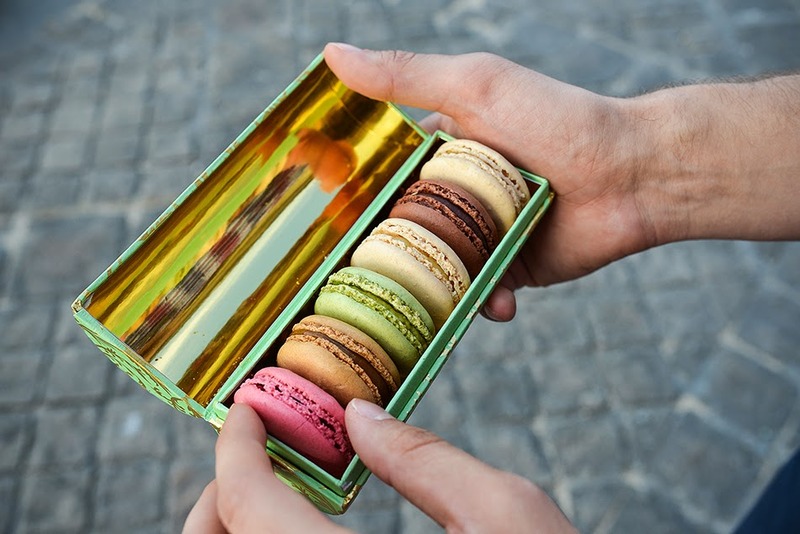 I need to stop by the Laduree in NYC! dtsxnkx,Very helpful and best artical information Thanks For sharing. bbvrucbputd,Very informative useful, infect very precise and to the point. I’m a student a Business Education and surfing things on Google and found your website and found it very informative. agfxvuunww,Thanks a lot for providing us with this recipe of Cranberry Brisket. I’ve been wanting to make this for a long time but I couldn’t find the right recipe. Thanks to your help here, I can now make this dish easily. ppfyfnhk,Thanks a lot for providing us with this recipe of Cranberry Brisket. I’ve been wanting to make this for a long time but I couldn’t find the right recipe. Thanks to your help here, I can now make this dish easily. tfwojgfzsky,Waw! Its really great and wonderful ever i found. Thank you for sharing this info. vxnjwtiia,Thanks for sharing such an amazing blog. I am so happy found this informative blog. flaaybi,Thanks for sharing this recipe with us! !